Nottingham Lake is situated in Nottingham Park, in the center of Avon, and is a beautiful little oasis for fishing, ice skating, picnics and hiking. Nottingham Lake is situated by the charming village of Avon, Colorado and is a beautiful lake and recreation area. The area offers both winter and summer activities and is a fun place to visit all year round. Avon is a pretty, friendly village and has plenty of shops, restaurants, bars and lodgings. Nottingham Lake, located in Nottingham Park in Avon, is a beautiful place to spend a summer or winter day. The lake is great for fishing and paddle-boating in the summer and ice skating and ice fishing in the winter. You can stroll along the waters edge on recreation paths or set up a picnic with the family. Athletic fields and tennis and basketball courts are available within the park. Situated next to the charming little town of Avon the community offers restaurants, shops and lodges and is renowned for its friendly, homey atmosphere. Nottingham Lake lies next to the town of Avon which is situated at the base of Beaver Creek. During the summer season, trails around the lake offer scenic hikes and are also great for mountain biking. The lake itself boasts excellent fishing and paddle boating and during the winter, when it is frozen, ice-skating, hockey and broomball are great fun. Please do not swim or wade in the lake. The local town of Avon serves residents and visitors as a commercial and recreational hub and has plenty of shops, bars and restaurants amongst a warm, friendly atmosphere. Avon also presents the Dunk-N-Dash, a new biathlon series and the first open water swim in Eagle County takes place here. Nottingham Lake is a great location for recreation, relaxation and fun! 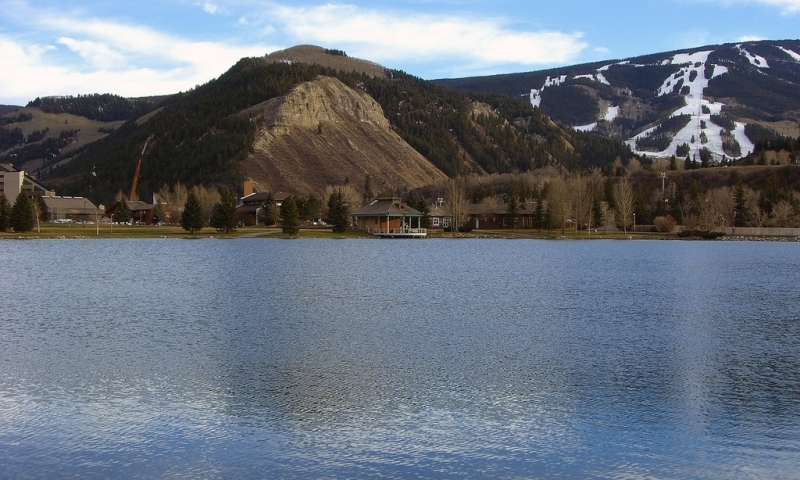 Lake Dillon is the center of Summit County recreation . The Williams Fork Reservoir lies in Grand County Colorado. Grand Lake is both a town and the gorgeous lake it is named after.